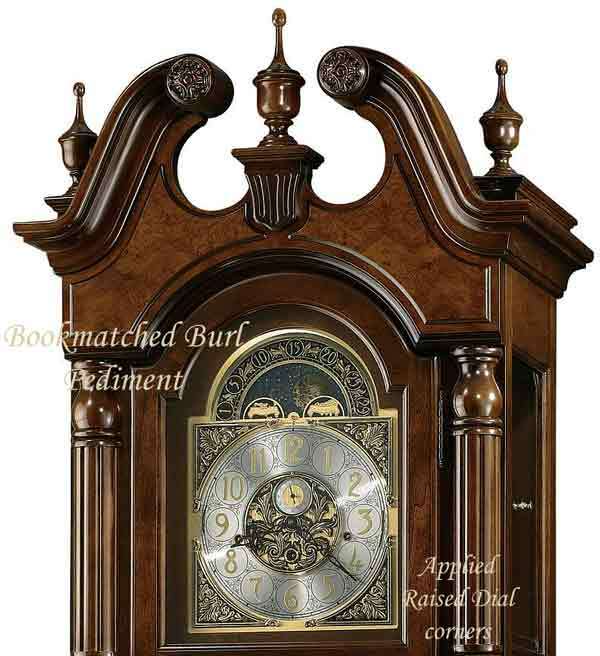 Special 82nd Anniversary Edition floor clock features a swan neck pediment with book-matched olive ash burl overlays and three turned urn finials, carved rosettes, and a decorative final support. Brushed satin brass finished dial features cast center and corner ornaments, and a moon arch with an astrological blue moon phase. 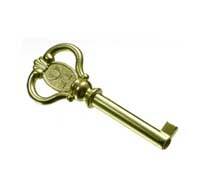 Includes a silver chapter ring with applied brass Arabic numerals. 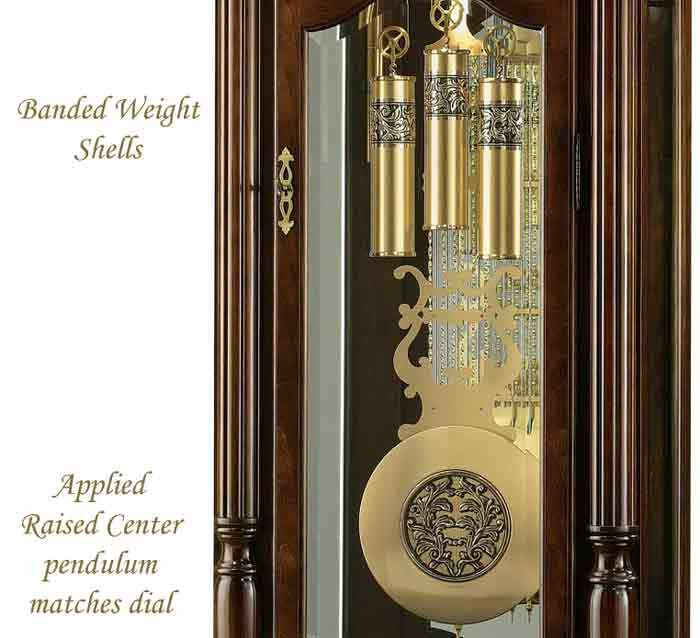 Pendulum with cast center disk, and banded weight shells feature brushed satin brass finish to complement the dial. You will receive a free heirloom plate engraved with name and date by returning the enclosed request card to Howard Miller. Cable-driven, German made Triple chime Kieninger movement plays Quarter hour Westminster, St. Michaels and Whittington melodies with full hour count. Automatic nighttime chime shut-off and all chime silent option. Size: Height 90-3/4" Width 27-3/4" Depth 17"
Clocks for sale at The Clock Depot including the 611-142 at discount prices.